Birmingham, Alabama native Taylor Hicks’ music sets him apart from other artists because of his unique take on southern soul, R&B, country and blues. More than 63 million votes were cast, and nearly 37 million viewers tuned in to crown him the Season 5 winner of American Idol in 2006, making it one of the most watched TV events of the decade. Less than three weeks after his Idol victory, Hicks’ debut single, “Do I Make You Proud,” entered at #1 on Billboard’s Hot 100, Pop 100 and Single Sales Charts. Coinciding with the single’s release, a cover story named him People magazine’s “Hottest Bachelor of the Year.” His self-titled album debuted at #2 on the Billboard 200 and was quickly certified RIAA Platinum. Hicks has performed with Willie Nelson, Snoop Dogg, Gladys Knight, Earth Wind & Fire and The Allman Brothers, appeared in concerts worldwide and penned a bestselling autobiography Heart Full of Soul. On Broadway, he starred in the hit musical, Grease as Teen Angel, and joined the 18-month national tour. The multi-talented artist guest starred in an episode of Law & Order: SVU at the end of 2013 and was included in Taste of Home’s cookbook. He is part owner of a Birmingham BBQ restaurant/bar (Saw’s Juke Joint), which made Parade Magazine’s Top 10 BBQ restaurants in the country. Currently, Hicks can be seen at The Paris, Las Vegas, where he has rapidly become one of the most popular acts in the city. Melissa Parker (Smashing Interviews Magazine): Taylor, your Las Vegas show has been extended through April 8, 2014? Melissa Parker (Smashing Interviews Magazine): Tell me about the show. Taylor Hicks: A lot of people are pleasantly surprised because there are selections from Idol, songs from my past records and also a selection of Vegas show tunes. It has music that people are really familiar with which, I think, is important for this type show. Melissa Parker (Smashing Interviews Magazine): Does it ever get old doing the same show every night and staying in a hotel? Taylor Hicks: Having my own showroom in Las Vegas is such an honor, and it’s great not to be in a tour bus for any stretch of time. I really enjoy performing in Vegas. Melissa Parker (Smashing Interviews Magazine): In a recent Forbes article, you were described as having a “slightly offbeat personality.” What does that mean? Taylor Hicks: You know, I think that everybody has an offbeat personality at some point in their lives. To be honest with you, if there wasn’t something offbeat about me, I don’t think I would’ve won American Idol because I believe that you have to bring something different to the table to stand out as an artist and create a brand for yourself that ultimately helps you have a long standing career in entertainment. I’m sure that some people have described those in entertainment as “oddballs” at some point. Melissa Parker (Smashing Interviews Magazine): It has been five years since you recorded new music? Taylor Hicks: Yes. It’s definitely time to record some music, but there’s a saying I like, “It’s better to record the right music than release the wrong music.” You know what I’m saying? Melissa Parker (Smashing Interviews Magazine): Sure. Tell me about the album. Taylor Hicks: Well, there are a lot of things that we want to put into the record. I come from many different genres of music, very much roots oriented in country. I like to think of it as if you got Zac Brown and Jackson Browne together, you’d have some of the music on this new record. Melissa Parker (Smashing Interviews Magazine): Is there a theme? Taylor Hicks: They all have themes, but I can’t let the cat out of the bag too much because it’s not ready to let the cat out of the bag yet. You know what I’m saying? Melissa Parker (Smashing Interviews Magazine): I know. Taylor Hicks: I know … I know (laughs). I’ll give you as much as I can, but I can’t give you as much as you want. Melissa Parker (Smashing Interviews Magazine): Do you have a tentative release date for the album or the first single? Taylor Hicks: Like I said, I’m not going to let the cat out of the bag (laughs). I wish I could. Right now, we’re getting the music together and deciding which single we want to release. We want to make sure it’s great. The setup has to be right for the music. In this day and age, everybody can release a single to iTunes. But the ones that have the most success are the ones that have a vehicle to piggyback that song or that particular album. This Vegas show is going really well. You have to have a really great setup, I believe, to have successful music. Melissa Parker (Smashing Interviews Magazine): When did your fascination with blues and soul music begin? Taylor Hicks: I started listening to music and singing at probably six or seven. At about eight or nine, Ray Charles was the musical root to my musical tree, the base root, and then it kind of branched out from soul to country. I listened to a lot of Kenny Rogers. This is something that kind of evolved naturally. Melissa Parker (Smashing Interviews Magazine): What sort of a child were you? Taylor Hicks: I definitely had a lot of energy. I had a pretty normal childhood until I started listening to music, and once that happened, then all bets were off, and the race was on. Melissa Parker (Smashing Interviews Magazine): Right after your American Idol win, Justin Timberlake publicly announced that you “couldn’t carry a tune in a bucket.” Have you ever talked to him about the comment? Taylor Hicks: Yeah. He apologized profusely on the sidelines of a Chicago Bears/Green Bay Packers game about four years ago, so he and I are all square in that department. Melissa Parker (Smashing Interviews Magazine): Do you have a favorite American Idol contestant this season? 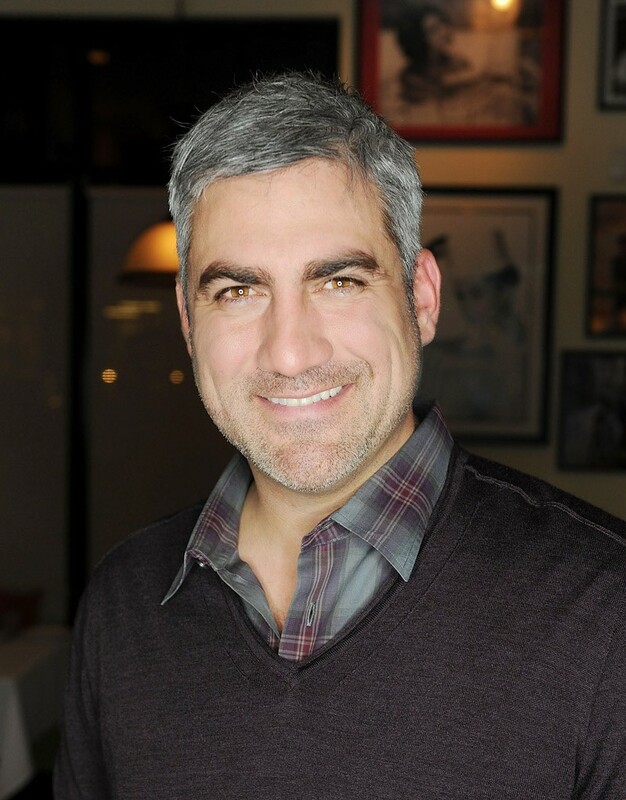 Taylor Hicks: I don’t like to give favorites out just yet. I like to wait until it gets a little closer into the competition because I don’t want anybody not liking me if they’re not one of my favorites. But I was really excited that some of the Alabama singers have had some success on the show, and I wish them nothing but the best. Melissa Parker (Smashing Interviews Magazine): Have you ever been interested in becoming an American Idol judge? Taylor Hicks: I know that idea has been kicked around quite a bit about some of the names that were a part of the show that could possibly be judges. Yeah. I would be very interested in that, and I do believe if there was a judge who was a former contestant, then that person should be one of the winners of American Idol as well. Melissa Parker (Smashing Interviews Magazine): What can you tell me about yourself that even your fanbase (the “Soul Patrol”) doesn’t know? Taylor Hicks: I’m coming up on ten years in show business, so if they haven’t gotten it out of me yet, they’re probably not going to (laughs). Melissa Parker (Smashing Interviews Magazine): What has been the craziest thing a fan has ever done to capture your attention? Taylor Hicks: There have obviously been some moments that were a little scary, but all in all, I have a really great fanbase. They’re really respectful of my privacy and my shows, and I’m very thankful for that. I think that’s part of the give and take relationship when you have an artist and fans. It has been a pretty good relationship so far, and I hope I can keep it that way. Melissa Parker (Smashing Interviews Magazine): You guest starred on an episode of Law & Order: Special Victims Unit last year. Would you like to do more television and possibly feature films? Taylor Hicks: I get roles sent to me probably every two or three days. They are just the ones you kind of look over and decide if they really hit you or not. I think a good analogy would be Matthew McConaughey’s Dallas Buyers Club. That was a script he really fell for from an artistic standpoint, and those are the kinds of roles you look for and know you will make an impact with. Melissa Parker (Smashing Interviews Magazine): Is there anyone special in your life? Taylor Hicks: I’m very happy … I’m not telling you that because that’s private, you know? Melissa Parker (Smashing Interviews Magazine): Do you have any plans to return to Broadway? Taylor Hicks: If the right role comes along, I would definitely look at that. I just have so much respect for the theatre and those actors and actresses because they really have a lot of stamina and artistic integrity. It was a blessing to be a part of Broadway. If the right role came along, of course, I’d dive right back into it. Melissa Parker (Smashing Interviews Magazine): Who is your “dream” duet partner? Taylor Hicks: It depends on what I’m listening to right now. I’m a really big fan of Lake Street Dive. I think that band is probably one of the more soulful, eclectic bands that I’ve found here in the last few weeks. The lead singer is named Rachael Price. I think she’s fast becoming one of music’s newest female voices, so I’d love to play some harmonica with them at some point. Melissa Parker (Smashing Interviews Magazine): Is there another project in the works after the Vegas stint ends? Taylor Hicks: The country record project, Vegas and looking for TV and film roles. After that, I’m probably going to rest and sleep for a while. Melissa Parker (Smashing Interviews Magazine): Do you ever return to Birmingham to perform at Saw’s Juke Joint? Taylor Hicks: I do. I like to get back there as much as I can. The Las Vegas show has me tied down a good bit. I’m trying to get back there to put together a big benefit concert show, so that’s always a possibility. When I come back into Birmingham, I definitely stop by and have some barbecue and hang out. Melissa Parker (Smashing Interviews Magazine): Perhaps you could have a hometown concert to celebrate the new album coming out? Taylor Hicks: Yes. There’s no question. Once there’s a release, that is definitely one of the first things we’ll try to put together for sure. « Noam Chomsky Interview: "Obama is Carrying Out the Most Extreme Global Campaign of Terror That I Can Remember"
Thanks for the great interview with Taylor, my favorite musician. It’s wonderful to read about new music coming from him. I’m really looking forward to it! Great interview! I’m looking forward to the new album and whatever else is down the line. He’s the best entertainer you’ll ever find. I’ve followed Taylor’s career for a very long time and am proud to say I’m a huge fan. Taylor’s talent and unique take on music always keeps me coming back for more. His ability to read and understand his audience then tailoring his show to give them one of the best live shows in Vegas or anywhere’s guarantees he’ll be a successful entertainer for years to come. Looking forward to his new CD when its ready and yes, I do believe Taylor would make an excellent judge on American Idol. Good interview. Loved Taylor Hicks from the start. Saw him several times live. Also sounds amazing and puts on a great show. Haven’t seen him in Vegas, but hoping he performs in Reno again. Very nice guy and so polite to his fans. Waiting to hear his next album. I am a big fan of Taylor’s. Am really looking forward to his new music comming out. Hope he tours when his new cd comes out and he makes it my way here in Kentucky! Cant wait for the new album. Great interview taylor. My husband and I are BIG Taylor fans. We have followed him since AI and have seen him many times. Every time is a treat as Taylor brings his unique take to every song and always delivers a fantastic show. Thank you for a great article! Really a good read, Taylor is a rare talent. I’ll have to visit his restaurant soon. I enjoy reading your interviews Melissa!